We all have a Nonna in our lives. Whether we call her grandma, grammy, ouma or gogo, we all have memories of that someone special whose cooking reminds us of home. At Nonna’s Italian Food Bar, they are all about the memories, the aromas, the flavours and the food. It defines who they are – an authentic Italian food bar with a contemporary twist. A cool, open culinary theatre invites guests to come and see exactly how their food is made. From a glass window showcasing the pasta making process, to the open counters where you can order your choice of pasta, pizza, antipasti, salads and dessert, you can see how your food is prepared and created, every step of the way! Behind each and every stylish wooden counter is a chef, ready to prepare your special order suited to your taste. 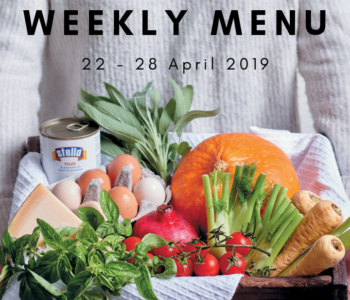 Everything at Nonna’s is totally customisable, which makes it the perfect space for a quick and easy lunch, or a pleasant dinner with friends and family. At Nonna’s, they are all about fresh. 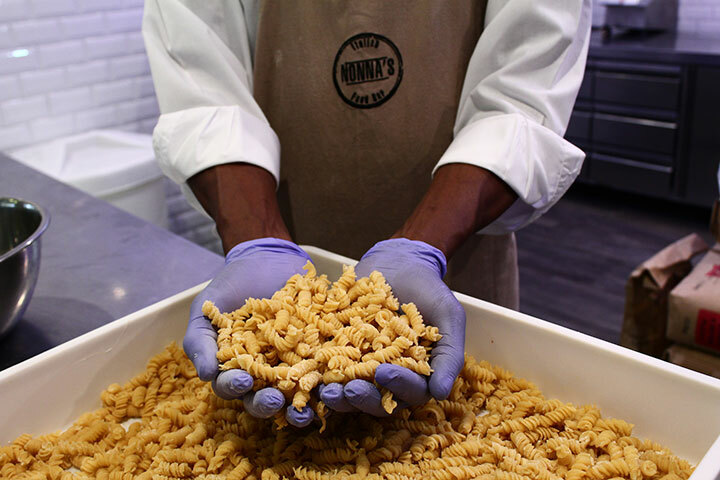 Guest get to see how pasta is made every single day, and only the freshest and best ingredients are used daily to ensure that every meal is absolutely perfect. 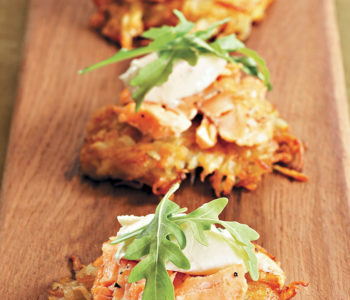 They only use raw, organic and unprocessed ingredients in everything they prepare. There are also several options available for you to take home, from their fresh pasta, to pre-made pasta dishes. But you’d better hurry, as quantities are limited. We tried several dishes on the menu. 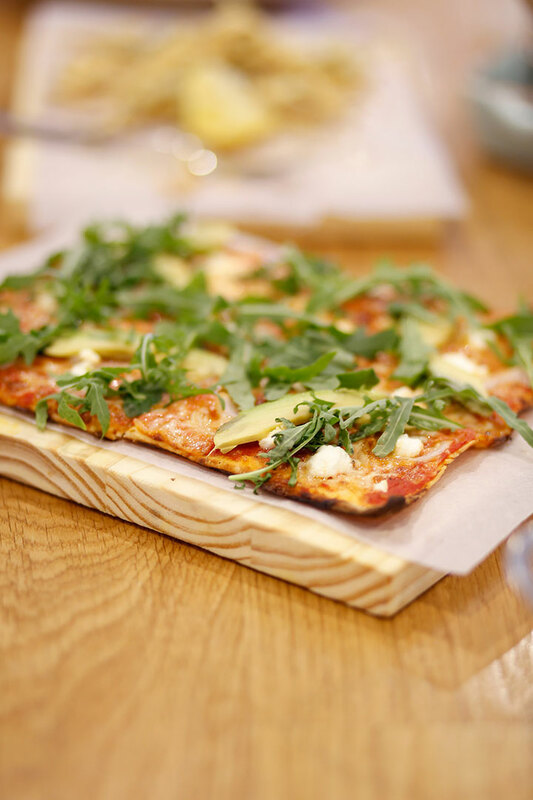 We kicked off with a delicious flatbread, followed by some of their famous pasta dishes. The spaghetti bolognaise reminded me of home, something my mom and gran would often cook for our family. 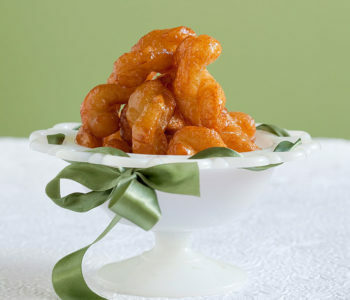 It was simple, yet full of flavours and full of love, a comforting indulgence when you live far away from home. Pizzas are served the southern Italian way (rectangles and not round) and each bite is crispy, cheesy and saucy – the way pizza should be. And if you really want to treat your senses, tuck into their fried calamari and zucchini fries. The combination of 00 flour, lightly dusted over the freshest ingredients, ensured a flavour journey like no other. Every bite was better than the one before. And then, to end off the perfect meal, we tucked into ice cream rolls! You can make a selection from their ice cream flavour, top it with any two ingredients of your choice, and watch magic happen. 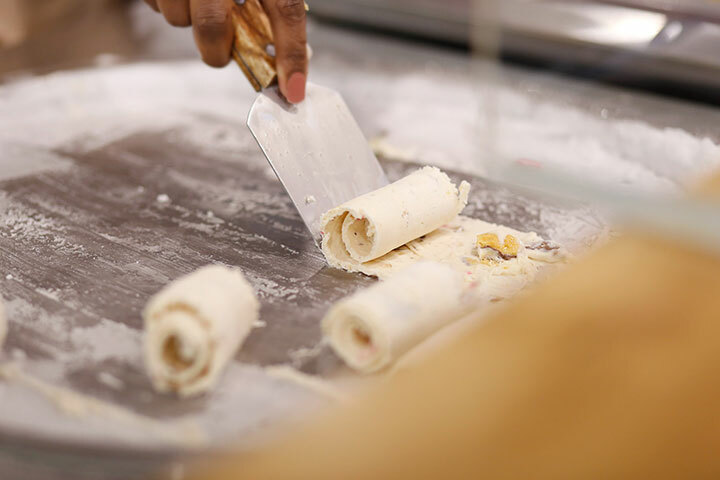 Your ice cream is made right in front of you, on a cold plate chilled at -20*C, and rolled to perfection. The combination of vanilla ice cream, Nutella and white chocolate was a real winner! The portion sizes are big, as Italian food should be, and left us with enough to enjoy the next day (double the delight, I’d say). The simplicity of it all is what intrigued us the most. 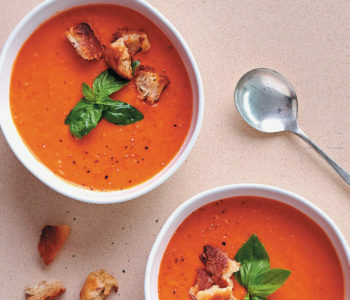 Nothing fancy, just Nonna’s most loved recipes, served with a contemporary twist. A smart card system is used for payment. As customers move through to the different stations, they can swipe the card for each ingredient and payment will be made at the end. Quick, easy and convenient. 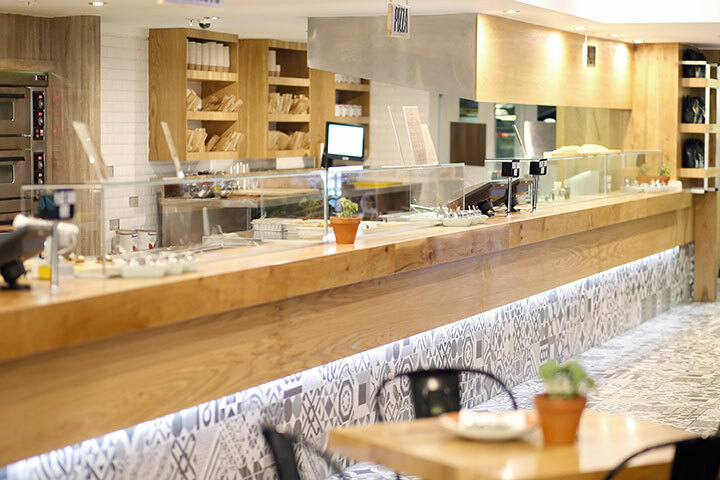 Situated in the middle of Sandton City (in the banking court), Nonna’s Italian Food Bar is the perfect escape from the hustle and the bustle of the busy city. It is the perfect setting for a quick lunch, an afternoon break, a healthy meal or a pleasant dinner with friends or family. 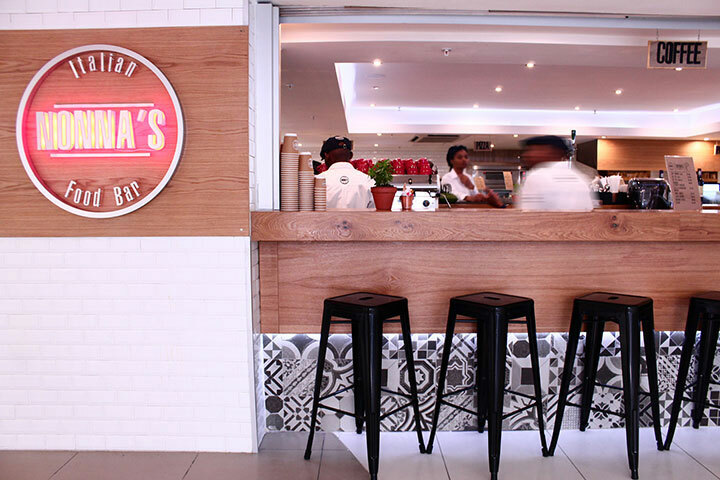 Pretoria folks, you don’t have to miss out on the goodness that is Nonna’s. 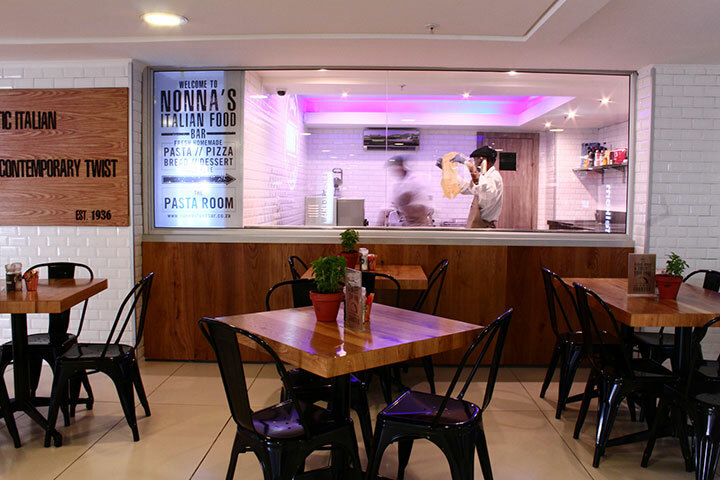 A Nonna’s Italian Food Bar just opened in Menlyn Park Shopping Centre.